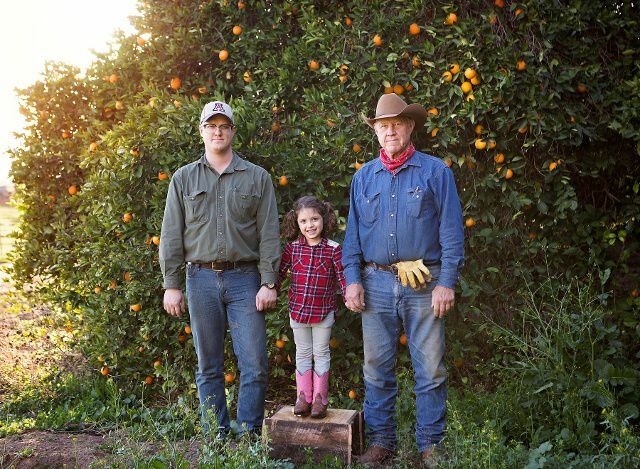 Since the family purchased the ranch in 1928, citrus and cattle have been in their blood. 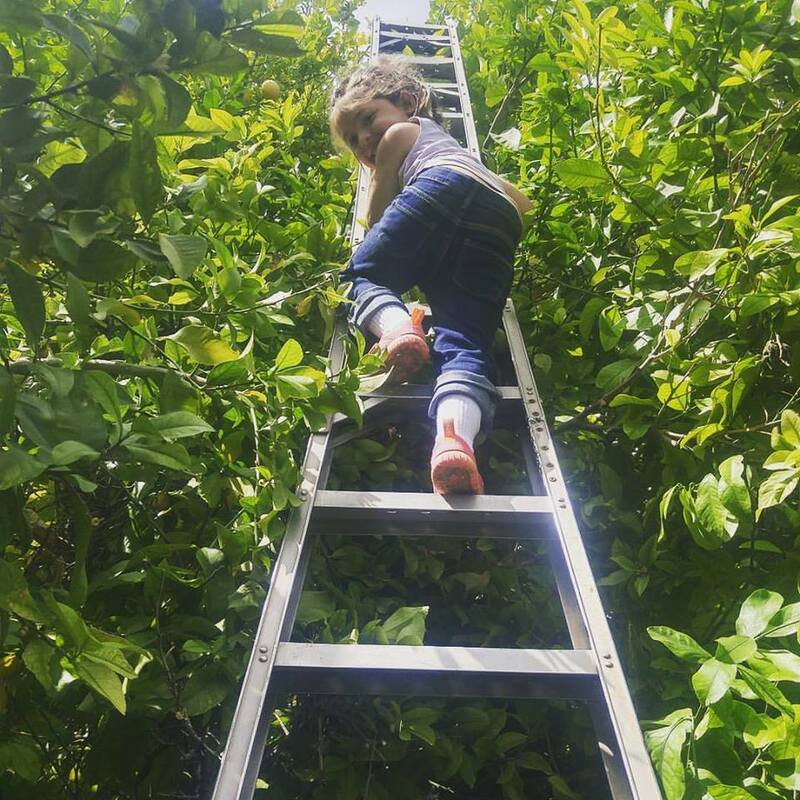 The Justice Brothers Ranch holds the title of longest continually operated citrus orchard in the state of Arizona, with the first trees planted by the brothers themselves at the ranch’s inception. While these young navels (planted in ‘62) in the foreground are still producing, the mature trees behind them were planted in the late 20’s. One of these grapefruit trees remains alive today. Throughout the history of the ranch the operation has changed and evolved, but the family and their commitment to agriculture remain the same. And with 5 generations calling Justice Brothers Ranch home, and R.T. Selwyn and R.D. working the land together, the Justice’s operation truly is a family farm. Less than 15 minutes away, Selwyn also operates Justice Brothers U-Pick, where customers can choose from dozens of varieties of pesticide-free fresh citrus, including navel, Valencia and mandarin oranges; tangerines and tangelos; red and white grapefruit; pomelos; lemons; and many more. “The Farm”, as the family calls it, was originally a University of Arizona citrus research station, determining the viability of varieties in the Salt River Valley. It was subsequently operated by the former UofA farm manager and friend of the family, James Truman, as Truman Ranch II, as a commercial and u-pick orchard. Mr. Justice is a native of Arizona, and graduated from the University of Arizona, with a Bachelor of Science in Agriculture. He raises cattle and citrus in Waddell, Arizona. He is a member of the Board of Directors of Electrical District Number 7 and is president of the Irrigation and Electrical Districts Association of Arizona, as well as member of the Arizona Farm Bureau Board of Directors and an Executive Committee member of the Agribusiness & Water Council of Arizona. Selwyn operates the Justice Brothers U-Pick, and is the fourth generation operator of the Justice Brothers Ranch, alongside his father R.D. Justice. He’s also a fifth-generation Arizona native, third-generation with the Selwyn name, second-generation University of Arizona graduate and proud agriculture evangelist and policy advocate. He’s an active member of the Agribusiness & Water Council, the Farm Bureau, and the Young Farmers Coalition, and serves on the Board of Directors of the Maricopa County Farm Bureau and the American Farm Bureau Federation Issues Advisory Committee. A family tradition of farming in the West Valley.